If your sony laptop is running slow or stopped working, Computer Emergency can help you. 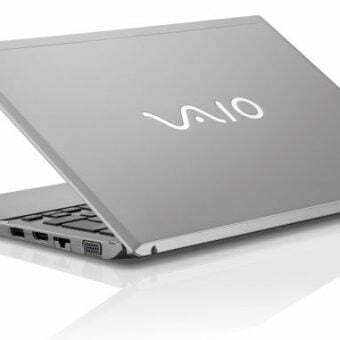 Most common Sony laptop problems can be fixed for a fraction of the cost of a new one. Hard drive crashed? Cant see your hard drive? We have over a 95% success rate for hard drive recovery. The process can take from a few hours to a few months depending on the issue. We’ll come to you, assess the drive and advise of how long the repair will take. To give yourself the best chance of recovery, turn off your hard drive immediately & call us now! Don’t forget to ask about our backup plans to save you next time! Does your Sony laptop sound like it’s booting up but the screen stays black? Can you see dead pixels, lines and cracks across the screen? We offer same day replacement of all major brands. We can pick the laptop up from you, replace the screen and return it all within 3 hours. Express service! Accidents happen, and they don’t get much worse than when you liquid spills, power surges and lightning strikes. These things can cause your motherboard to short out. Your motherboard controls most of the functions of your computer including power, keyboard, audio, video and USB to name a few. If you’ve suffered damage due to any reason, we can diagnose problems and give recommendations whether repair or replacement is going to be a better solution. If you’ve spilled water or your keys have stopped working, a keyboard replacement is a fast and easy fix. We have access to genuine replacement keyboards as well as cheaper after market ones. Whether you have a standard keyboard or a backlit LED keyboard, we can help. Does your fan run at full speed? Does your Sony computer randomly instantly turn off? A system clean is an inexpensive repair that can fix overheating problems and help make your computer last longer. It doesn’t take long for your heatsink to get clogged with dust, dirt & pet hair so we recommend having a clean at least once per year.